Helen “Eileen” MacDonald Kirk of Cochrane passed away on February 23, 2017 at the age of 86. Eileen was born on April 19, 1930 in Edinburgh, Scotland. She married William (Bill) Kirk in 1952 and had four children. The family moved to Canada in 1968. She is survived by her children David Kirk (Kim), Elizabeth Christie (Lewis), Stuart Kirk, and Andrew Kirk (Colleen). Eileen loved her grandchildren: Eric (Jolene), Michael (Annette), Jennifer (Pete), Colin (Margaux), Ashley, Lindsay (Adam), Shannon, Abby, and Ainsley. She also had great grandchildren: Seth, Trinity, Jaylin, Grayson, Avery, Liam, Olivia, and Finley. Eileen loved living in Cochrane. She worked at Elizabeth Barrett Elementary School. She spent her last few years at the Big Hill Lodge with staff routinely going the “extra mile” for her. 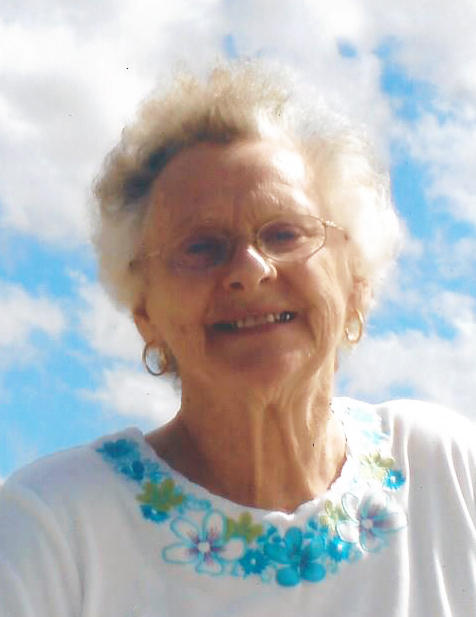 Eileen will be remembered as a loving mom and a sweet, kind little Scottish lady. In lieu of flowers, donations can be made to the Big Hill Lodge in Cochrane (98 Carolina Dr. Cochrane, AB T4C 1X5) or Canadian Heart and Stroke Foundation (www.heartandstroke.ca). A Celebration of Life has been set for 3:00 pm Friday March 31, 2017 @ Royal Canadian Legion in Cochrane (114 – 5th Ave, Cochrane, AB). Please accept our condolences on the loss of your mother, grandmother and great-grandmother. She will be greatly missed by all of you and her circle of friends. Our thoughts are with you all at this time. She was a lovely lady, she will be missed. May peace and comfort find you. There’s a special place in all of our hearts for our mothers, just like there’s a special place in every mother’s heart for her children. You must continue to carry her memory in that special place in your heart. I am sincerely sorry for the loss of your mother. We are so sorry for your loss of your mom and Grandma. Our hearts and prayers go out to you all. We hope in the coming days you can find peace and comfort in your memories of her. I cannot even begin to imagine what you’re going through and how difficult all this must be. We are sending our condolences to all your families. I would like to write something that would ease the pain but I know it is impossible It’s the little things, the small, everyday occurrences that you’ll remember. And even though it seems like you can never recover from your loss, it is these very memories that will help push the pain away and bring back the smiles.